Previous postLetters to my Children: If it’s too hard, just quit! Next postLetters to my Children: Most Women do it! It’s like we lead parallel lives! :) Good advice for couples getting married! About the hair: I was very grateful that my aunt just put my hair up in an elegant French twist. 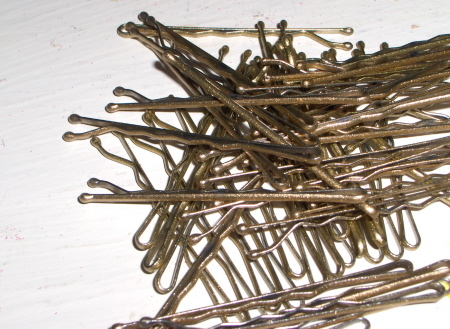 Four pearl tipped bobby pins and a couple more regular ones for added stability were all I had to take out that evening.